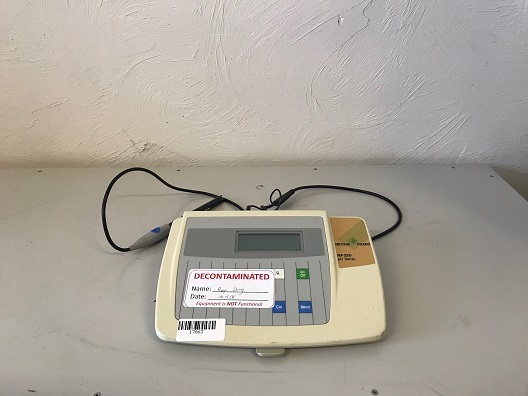 The CDM230 Conductivity Meter is a top-of-the-line instrument in MeterLab, RADIOMETER ANALYTICAL's complete range of measuring equipment for accurate and reliable pH, ion and conductivity measurements. 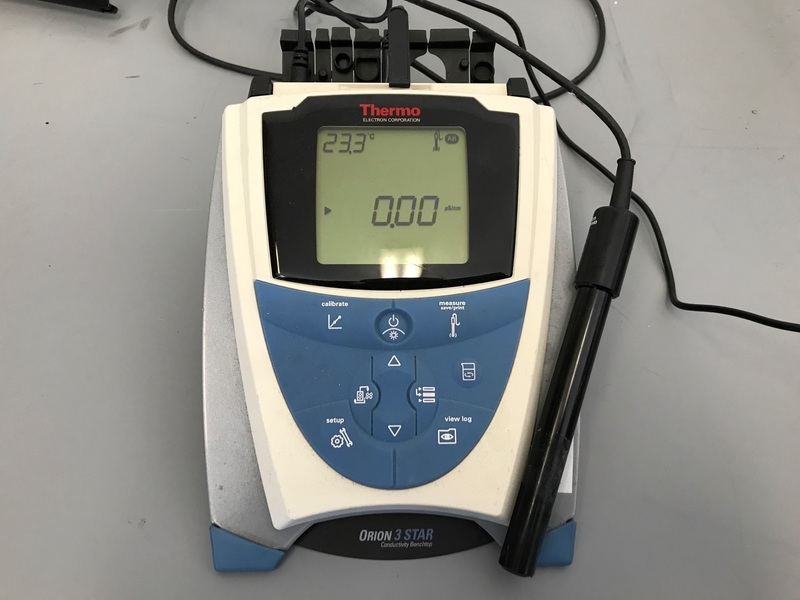 The CDM230 offers high-precision measurements: conductivity measurements in the range 0.001 µS/cm to 2.000 S/cm, resistivity measurements in the range 0.2 â„¦•cm to 500 Mâ„¦•cm, salinity measurements, TDS measurements and concentration measurements. Measuring Range/Salinity: 2.00 to 42.00 with a cell constant of 1 cm-1. Relative Humidity: 20 to 80 %. Dimensions: 9.5 x 28 x 21.5 cm. Easy-to-use single-channel meter with improved stability algorithm to increase calibration and measurement accuracy. 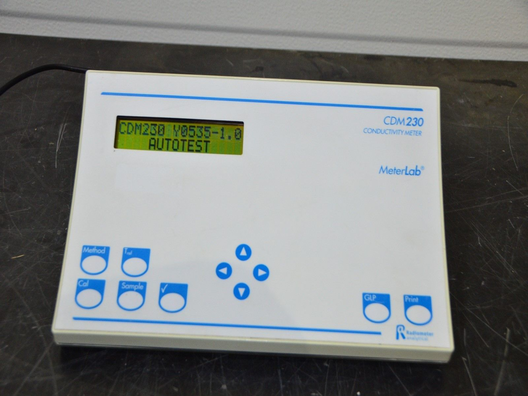 Reliable, accurate pH measurement for any general laboratory or QC application. 100 to 240V 50/60Hz power supply provides 9VDC to instrument. 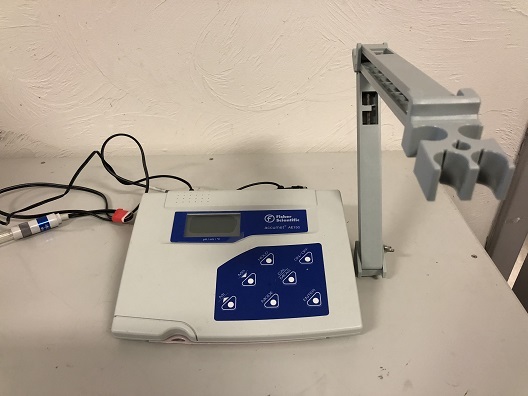 Simple user friendly keypad, slope efficiency read-out, condition indicator, manual or automatic temperature compensations (ATC), autocalibration using "Easy cal" and last calibration recall. The MP230 has a number of additional features specifically designed for GLP. For critical quality control applications an alarm can be set which activates when sample values fall outside pre-set high and low limits. The MP230´s memory allows the last 10 calibrations to be printed out whilst the user can select any four-digit sample identification number. The calibration reminder has an extended range up to 9 hours. The MP230´s programmable electrode offset and slope limits ensures that the electrode can only be used when performing within acceptable customer criteria.